We’re grateful for the customer feedback you give us on ClassJuggler’s software for dance schools, swim schools, gymnastics schools, and other class-based businesses. Your feedback helps us continually improve existing features and develop the ideal new product features for your school. With the recent launch of our new Communications Tracker feature, the feedback is coming in, and it’s clear that those of you who’ve checked it out are finding it very useful. Here are some examples. If you’re a customer and not yet using the Communications Tracker, these testimonials explain why you should check it out. 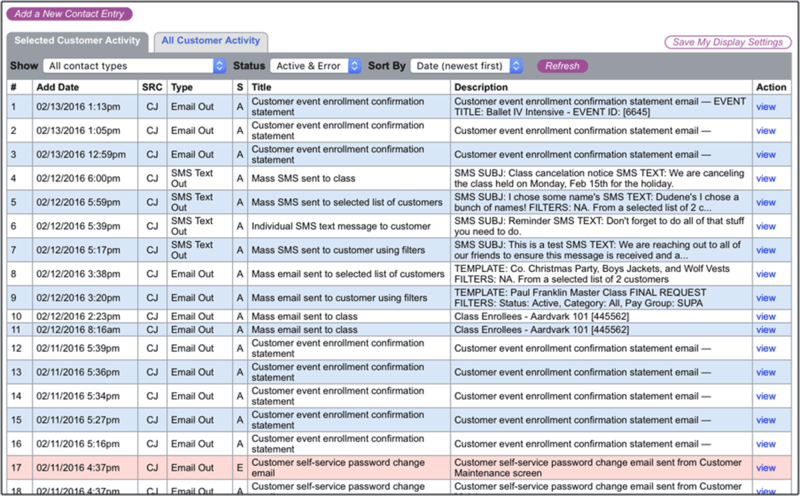 Read more on Gain quick access to all your customer’s communications and Customer Communications Tracker 101: How to manually enter customer info. And if you’re not yet a ClassJuggler customer, you should know that ClassJuggler is an affordable cloud-based customer and class management solution for class-based and schedule-based businesses. 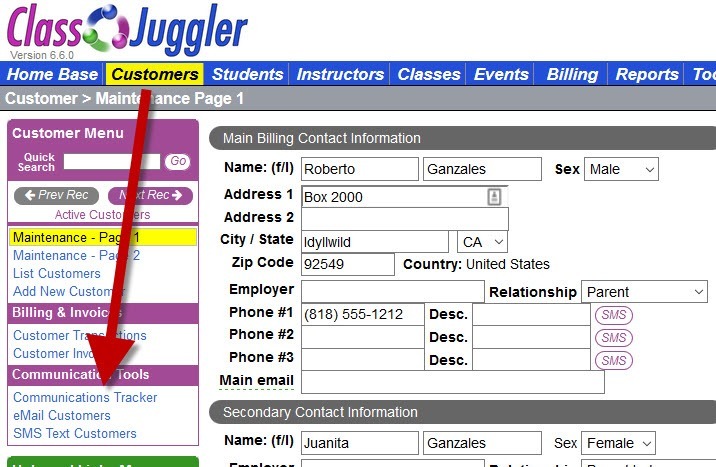 ClassJuggler is packed with features to simplify how you run your business, such as class scheduling, student/family/instructor management, robust email tools, easy-yet-powerful reporting tools, invoicing, online bill pay & customer self-service, free online/phone support, & tons more. Sign up today: first 30 days free! Check out one of the links below. This entry was posted in Cheer ClassJuggler, ClassJuggler Dance, ClassJuggler Dojo, ClassJuggler Fitness, ClassJuggler for Franchises, ClassJuggler K-12, Music ClassJuggler, Product Info, Swim ClassJuggler on April 27, 2016 by classjuggler. 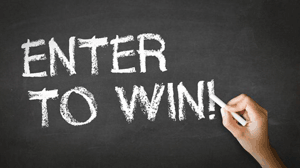 Spring Contest – Three Entrants Will Receive $50! We are excited about our new Communications Tracker tool, which is built right in to the ClassJuggler software for schools. If you’re excited about your experience in using it, tell us about it by midnight April 20, 2016, and you’ll be entered for a chance to win one of three $50 gift certificates to Target! It’s our way to thank you for your feedback, which we can use to tell others how they can benefit from using it. We are giving three lucky entrants a chance to win a $50 Target® gift card. A description of how the Communication Tracker has helped your business or resolved a problem with a customer. Entries must be received by end of day on Wednesday, April 20th. The three winning entries will be chosen at random, and will be featured in the May newsletter. You must be a ClassJuggler client to enter. This entry was posted in Cheer ClassJuggler, ClassJuggler Dance, ClassJuggler Dojo, ClassJuggler Fitness, ClassJuggler for Franchises, ClassJuggler K-12, Music ClassJuggler, Swim ClassJuggler and tagged Contest, software for schools on April 8, 2016 by classjuggler.